Put simply, this is a horrifying, brutal, brilliant piece of crime writing. I thoroughly enjoyed the first Clay Straker novel, THE ABRUPT PHYSICS OF DYING, which was an excellent, substantial read. As I said in my review of that book in 2015, I felt it was "an outstanding debut, full of fascinating characters and insights" that heralded "the arrival of a tremendous new voice who straddles the border between popular thrillers and weighty literature". But I think this third (final? hope not) book in Paul E Hardisty's Straker series is even better. It's a richly evoked expose of what made Straker who he is, and the brutalities and horrors of a largely forgotten war (globally). The way power and money can play a terrible part in how people get so easily divided into groups, with some seen as 'lesser', as obstacles or acceptable collateral damage in the fight for what's 'right'. The way things can get manipulated and obscured by the powerful, and how easily it can be for many to shed character and humanity in order to protect their own survival. 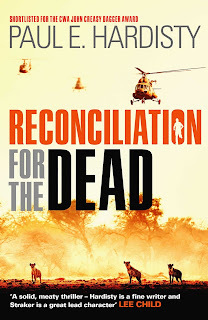 RECONCILIATION FOR THE DEAD is a gripping, page-turning thriller that is overflowing with substance to go along with Hardisty's atmospheric prose and strong narrative style. It's a heck of a book, which I devoured in a few hours, barely putting it down (despite having lots to do that day). After being accused of being a terrorist, and barely surviving events in Yemen and Cyprus in the previous books, Straker faces up to his complicated past in the South African military by appearing before the Truth and Reconciliation Commission, convened to look into events in the Apartheid years. This allows Hardisty to examine a fascinating - if at times horrifying - time in South Africa's history, as the post-Apartheid country looked to mend wounds and bring itself back together by putting its past under the microscope. Straker appears before the Commission, seeking amnesty and forgiveness for his own acts that have haunted him since he was a young soldier, while also lifting the lid on secrets and events relating to the war in Angola that many would rather stay buried. As Straker reveals his story, alternately encouraged, questioned, provoked, and disbelieved by a panel of commissioner who clearly each have their own agendas, we're taken back to the various conflicts in southern Africa around the turn of the 1980s, where - like with Southeast Asia in the previous decades - struggles over post-colonialism, control of resources, and fears about the potential spread of Communism, resulted in brutal civil wars with sides supplied and supported by other powers. While the war in Angola may not be as well known as Vietnam or the recent Middle East conflicts, it had a great effect on everyone involved, with the Apartheid South African government determined to shore up its interests in its neighbouring countries, while also battling dissent on the home front. Into this sweltering mess is dropped young Clay Straker, a barely-out-of-school paratrooper who quickly witnesses the horrors of war. He's grown up certain of the way things are, and should be, but finds himself questioning what he believes, and what he sees, out on the battlefield. Hardisty brings an even stronger sense and understanding of the highly conflicted Straker, who wants to be an honorable man but has done dishonorable things, to this book. But he's not the only strongly drawn character. From Straker's paratrooper buddies and superiors, to allies and enemies and those who often switch between, Hardisty brings the cast of this book to stark, authentic light. This is the kind of book that can really get to you, that makes you want to throw it against the wall or yell at a character. Not because it's poorly written, but because it's so well-written you're fully caught up in all the events happening - the horrors and injustices among them. It's emotional stuff, to be honest. 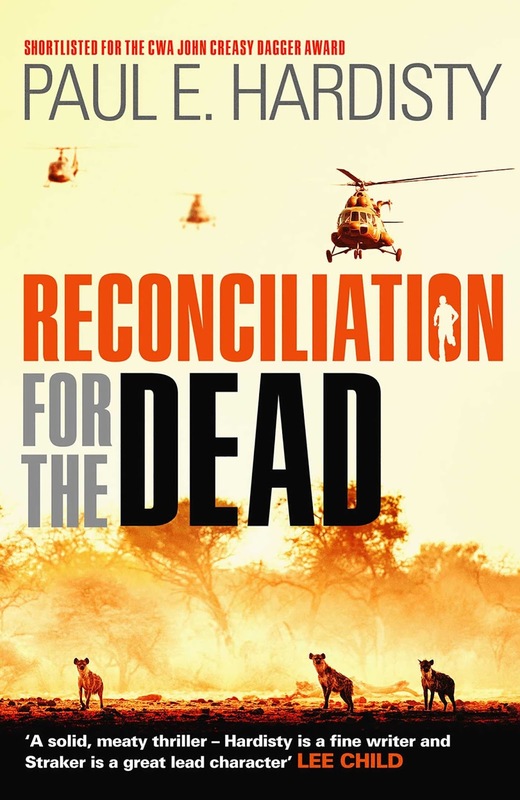 RECONCILIATION FOR THE DEAD is an excellent, five-star read on a number of levels. It takes us into a little-known part of southern African history, which has plenty of universal themes that tickle your conscience and scarily echo things going on all over the world. It reveals more about an intriguing main character, fleshing out an already fascinating character arc through three excellent books. It’s a page-turner, that doesn’t let its strong themes and substantial ‘weight’ slow down the storyline. Hardisty expertly balances the thriller and the thoughtfulness. I’ve been fortunate to read a number of excellent novels already this year, and hope to read many more in the coming months. But RECONCILIATION FOR THE DEAD may be the very best of all – now and then. It’s not a thriller that will be for everyone (eg if you much prefer breezy, easy-read stuff), but it is a sublime book. Very strongly recommended.